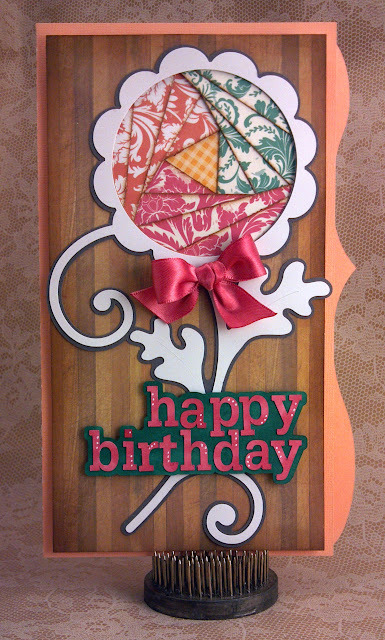 This card was made using the pieces from the simple mom card in the new kit Mother's Garden over at SVGCuts. I used the same dimensions of the card but turned it into an easel and added other elements from the kit. The roman shade is made using the panel piece and scored to create the folds. 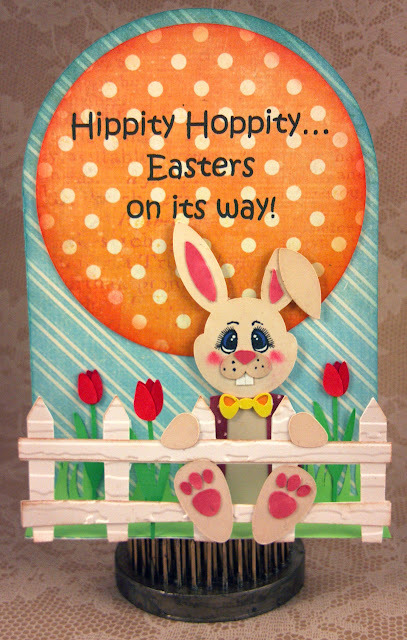 The stamp is from Punkin' Patch Stamps, Bunnies and Blossoms. 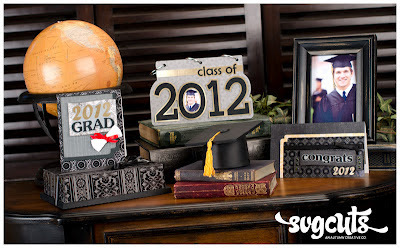 Here is a card from the Graduation Day kit from SVGCuts. I love the 3d look of the diploma in this kit such a nice touch. The flower is from the Happy Birthday to You kit, I think that has to be one of my favorite kits, I seem to use a lot of the pieces in it. 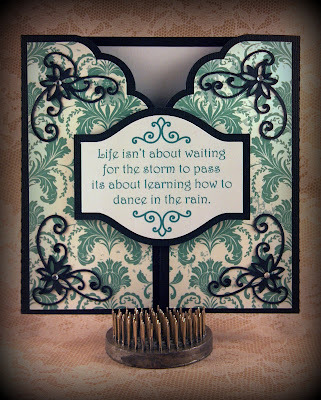 I just love the gel card that I saw over at splitcoaststampers here, you actually use hair gel. So I thought the pothole from SVGCuts would be perfect, it's a free file you can get from their blog. The card base is from their Elmhurst Hollow Kit, I just reversed it so the popup was inside. All the sea creatures are from the Tropical Friends Collection. 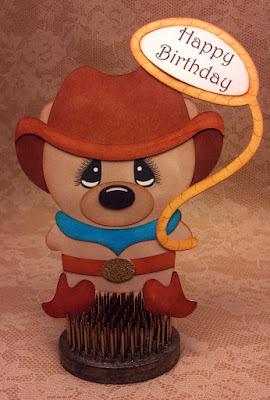 I created this shape card using the cute little cowboy bear from Jonathan's Bears Collection over at SVGCuts. I've been working on the eyes and the lashes and I like how these ones came out. I'm adding both the mtc and svg, I use them as a print n cut on a lot of the characters from SVGCuts, I think they look so cute with them. I usually do a print n cut on white card stock and then color them in with my ProMarkers. Besides the new weekly kits, SVGCuts always comes out with a free file each week also. I used this weeks freebie Backyard Bubbles with the tennis bear from Taylor's Team Collection for a child's birthday card. I'm working on another set of eyes, I think the lashes should be darker, I'll upload them as soon as I finish, they go nicely with this collection and a few others from SVGCuts.com. 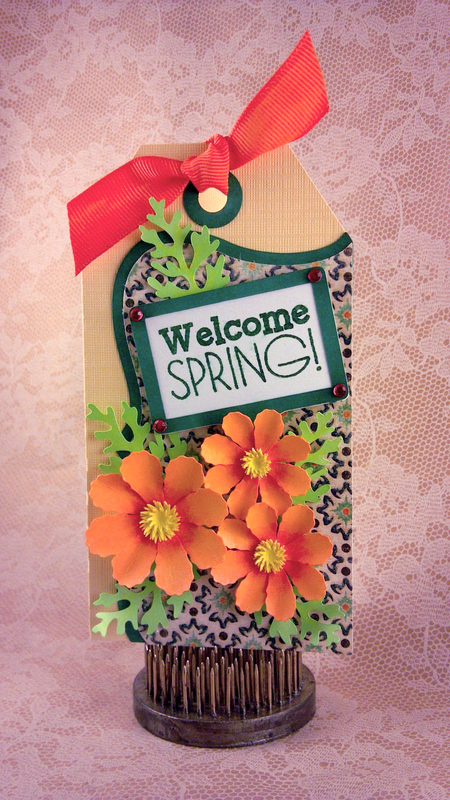 This is my third entry for the Spring Challenge over at SVGCut's facebook page. You had to use something from one of their spring kits or collections so I used the egg from the Poplar Street Tulips kit to make my ark and one of the birdhouses from the Spring Birdhouses kit for the house on top. In person the ark truly looks like wood and it's very sturdy. It would make a great centerpiece for a baby shower or a kids birthday. I put some candy in mine as the lid comes off and the little cuddly animals are glued on. For the wood look, I embossed paper with the distress embossing folder and cut it to 1/2" strips and inked each piece. 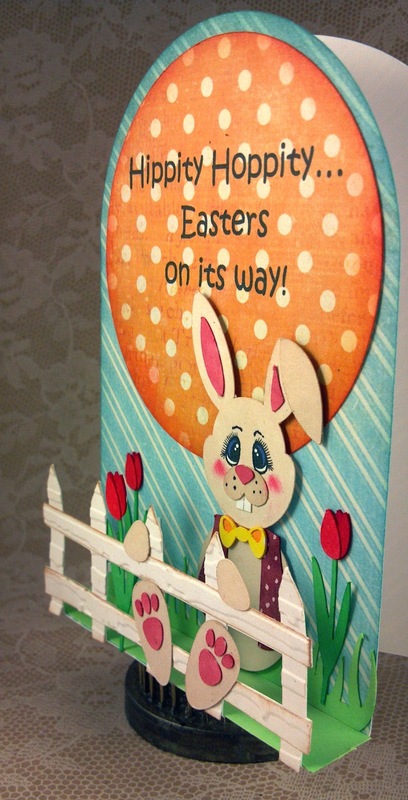 I applied each paper strip onto the egg all around and used a marker for the nail marks. I did the same to the floor, inside of the ark and the house. The animals are from the Cuddle Animals I & II collections and the Tropical Friends Collections. 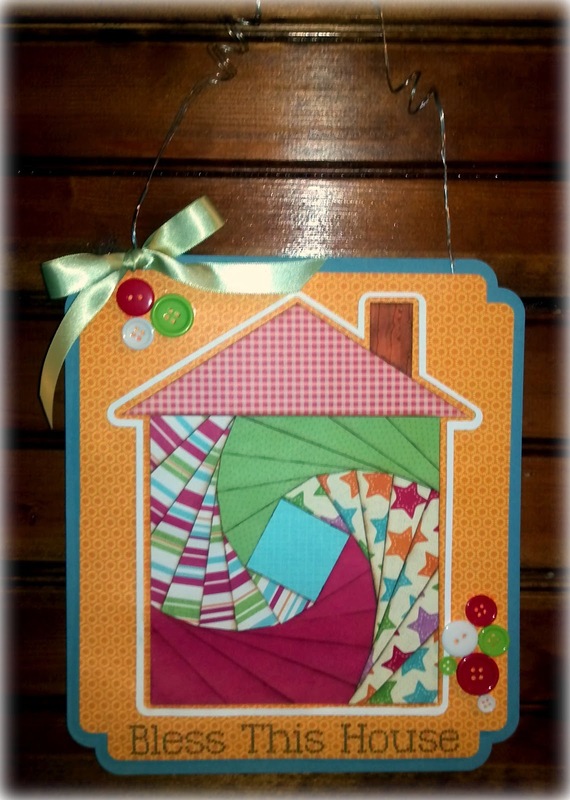 The door and windows are from the Strawberry Lane Collection. The waves and rainbow are both free files from SVGCut's Blog. Here is the candy inside with the lid off. 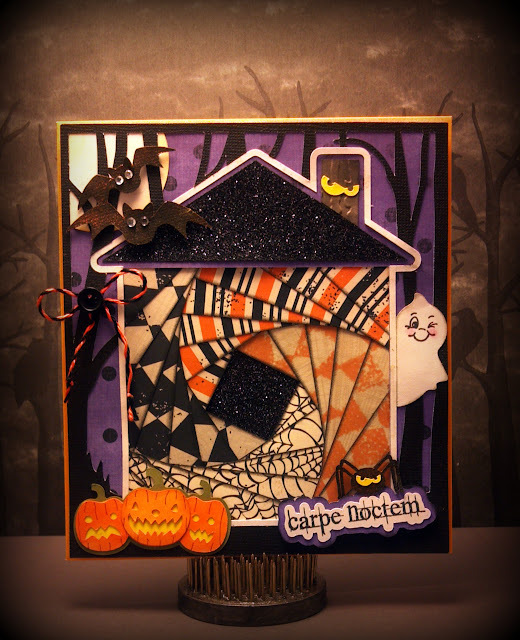 I know it's very early in fact 2 seasons early but every time I looked at the house in the Iris Fold Card Kit from SVGCuts I kept thinking Halloween. 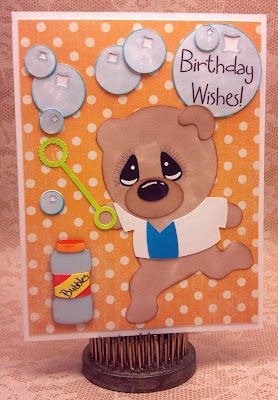 So I had to get it out of my system and make the card. I'm so happy I did, I think it came out pretty cute. I'm so hoping Mary makes more of these Iris Folds, I just love them, maybe seasonal would be nice. 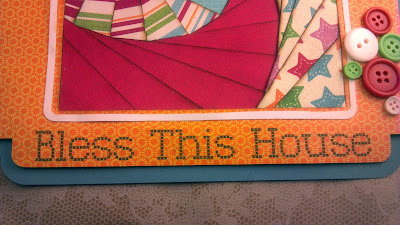 All the cuts are from SVGCuts.com, a couple are even free downloads, and the stamp is from Punkin' Patch Stamps. The paper I used for the inside of the house is Echo Park's Digital Apothecary. 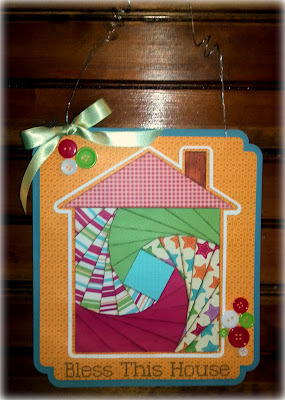 I just love SVGCuts new kit, Iris Fold Cards, so much that I thought how awesome would it look as a wall hanging, so I enlarged it, the measurements are around 8" x 9 1/2". 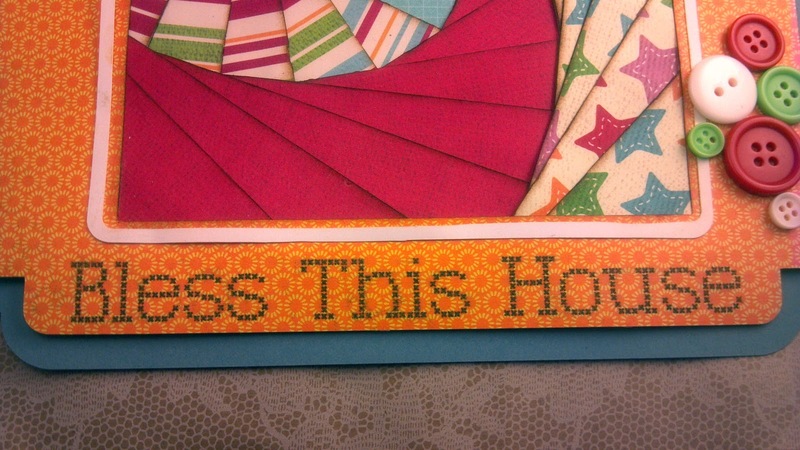 I did a print n cut for the Bess This House and just put the cuts together, through a couple of buttons on it and used wire to hang it. I think fabric would be wonderful, just think how it would look on a throw pillow. If I get a chance this week I'll give it a try. I used Kingthings Xstitch font, I think it look awesome to stitch it. 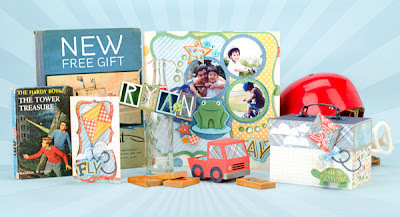 SVGCuts just came out with their new kit and Mary did an awesome job, I totally love it!! I have no patience to make an iris fold card but I love them, so I was so happy to see this new Iris Fold Cards Kit come out today!! All cuts on this card are from the kit and it's so easy to put together, I didn't want to add to much to it, I wanted the iris fold to stand out. The paper I used is Echo Parks Victorian Garden for the flower and the wood back ground is from their This & That Charming pack. I say this is definitely a must have kit. I was looking at the Elmhurst Hollow SVG kit video tutorial over at SVGCuts and the full moon card is such a great design, I thought it would make a great spring or Easter card. 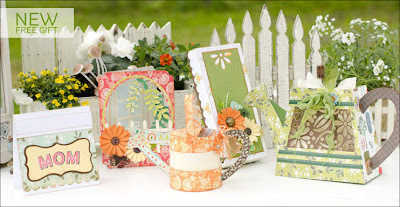 I used a sun instead of a moon and cut off the fence and welded the one from My Happy Garden Hideaway collection. 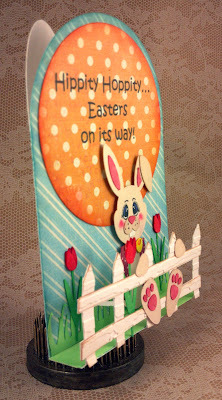 The bunny is one of the Cuddly Animals and I used some pieces from the April Avenue collection. I did a print n cut with both the eyes and the saying on the sun. I made the eyes to go with the some of the animal svgs, if you would like them, just look on the left-hand side for eyes or do a search. The paper is from Echo Park's Digital collection A Boy's Life. 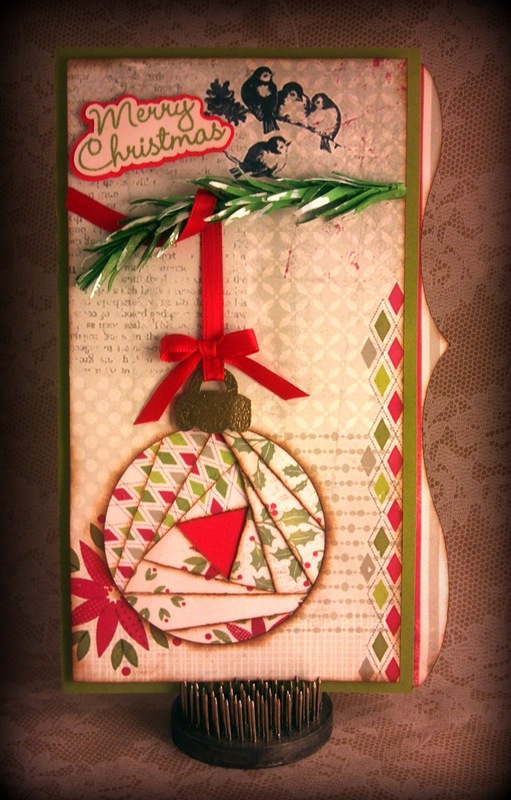 Here is a side view, I love the 3D design of this card. Lovin' this new kit from SVGCuts, Attic Treasures, I welded two scalloped corner pieces from the kit to a square to form this gatefold card, the cigar label in front is also from the kit. 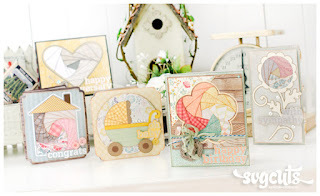 The fourishes are from Celeste's Cutesy Corner Elements, so many pretty corner svgs in that collection. 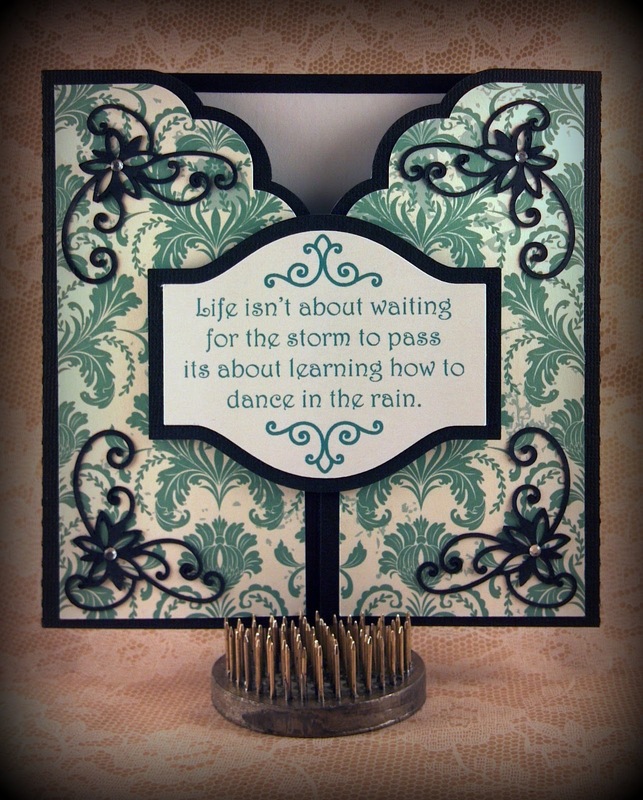 Love the saying, was done on the Zing with the Print n Cut feature, the two printed flourishes are from the French Quarter Ironwork's Collection. The paper is Echo Park's Digital, Victorian Gardens.